The Foundation Center maintains a database of U.S. foundations and provides information for grantseekers. GuideStar provides access to federal tax returns for nonprofit organizations, including foundations. Americans for the Arts encourages increased support for the arts and arts education. Chamber Music America is a membership organization for professional ensemble musicians. The League of American Orchestras is a membership organization that provides training and services for orchestra managers and musicians. The Association of California Orchestras is a membership organization for California-based orchestras, ensembles, choruses and presenting organizations. 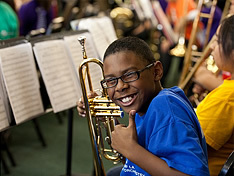 The Arts Education Partnership is a national coalition of arts, education and government organizations working to make high-quality arts education accessible to all children and youth. Commissioned by the Wallace Foundation and assisted by the Arts Education Partnership, this paper from Harvard’s Project Zero reports on what makes a quality arts education program. 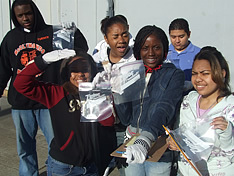 NAAEE is a professional association for environmental educators. Creative Change Educational Solutions has Education for Sustainability curriculum materials. A subscription is required for full access.